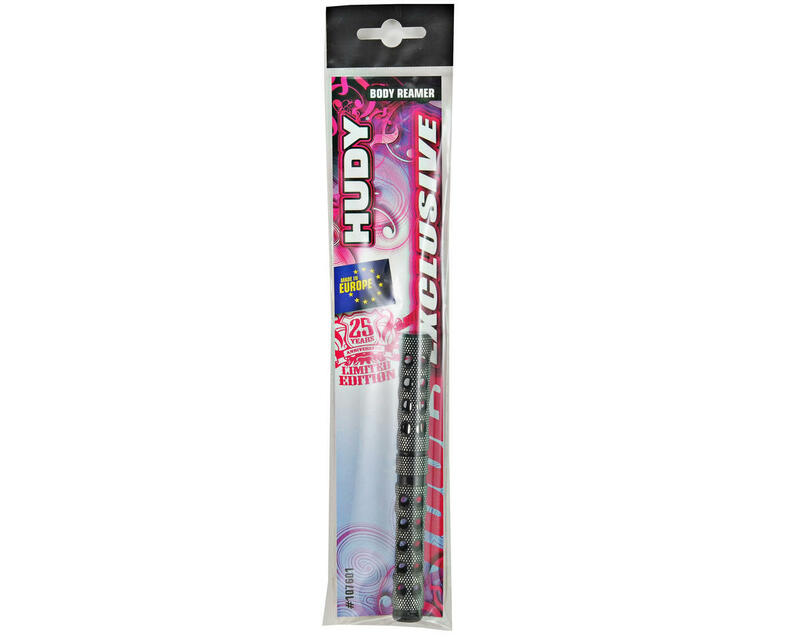 This is the Hudy Limited Edition Body Reamer. This super-lightweight, professional-quality reamer for lexan bodies cuts perfect holes from 0-9mm (0-0.35”) with special CAD-designed cutting blades. The blades are hand-ground on a specially-modified grinding machine for maximum sharpness and lifespan. Laser-engraved measurements in both Imperial and Metric sizes indicate the hole size while reaming, making it easier to make precise holes. The CNC-machined Swiss 7075 T6 aluminum handle features a diamond pattern surface for unsurpassed grip, while the handy aluminum cover protects the blade. The handle includes a black plastic cap that is press fit into the handle end. Optional color-coded plastic caps (violet, red, blue) are available to customize the tools to your specifications. I like this reamer for many reasons. The lightweight design, the fancy limited edition cutouts, the small size (I never ream holes larger than 6.5mm so I don't need a big ol fat thing, which saves room in the toolbox) and it makes quality cuts. My old body reamer would sometimes leave a shark tooth type pattern on the cuts which was annoying when looking at the body up close. This reamer does not do that, the holes are very smooth. I believe this is due to the reduced angle of the Hudy's cutting edge, as my old reamer was equally sharp. Another plus to the 0-8mm size. 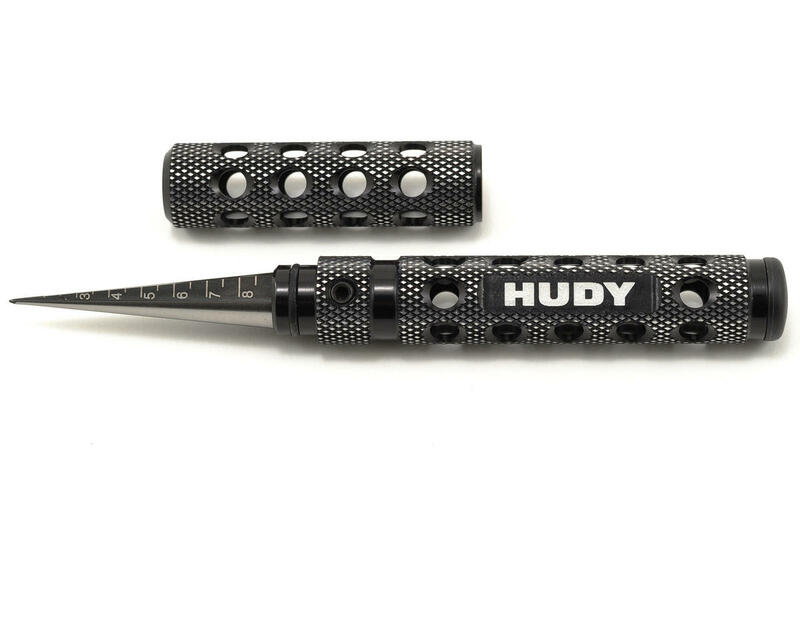 There are only two things I am not so hyped on 1) The price is steep for a single tool, but that's what Hudy tools are known for. 2) The tip of the reamer is chamfered for about 1mm, and this makes the force required to punch through the lexan a little higher than I'd prefer. My old reamer was slightly easier in this manner. Overall I'm happy with the purchase and would recommend it to a friend that is looking for a higher end lexan body reamer. This reamer is the perfect size if you just use a reamer for body post holes. Works great for 1/10 and 1/8 scale.